Updated: 2009-09-01. Something not right? Please update the information. Hiking trails, formal campfire circle, chapel, obstacle course, pioneering supplies, archery, sledding, snowshoes available, skis available, high ropes course, rock climbing, rappelling, mountain bike trail, mountain bikes available, sports field, fishing, canoeable water, canoes available. Wadiscoca is an excellent site for group camping and larger events. Canoeing is on a river. 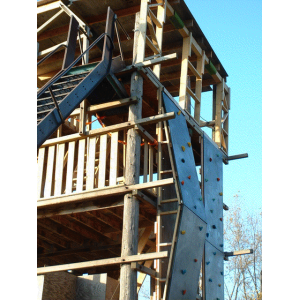 A rappelling tower and climbing wall with staff is available upon request for a small fee. The camp is approximately 5 km from the ferry to Michigan.